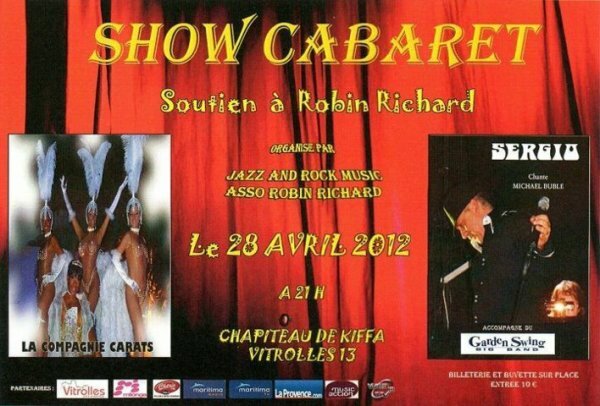 LE 28 AVRIL 2012 A VITROLLES SHOW CABARET DESTINE A RECOLTER DES FONDS POUR SUBVENIR A LA FAMILLE DE ROBIN QUI SE TROUVE ACTUELLEMENT A PARIS POUR SE FAIRE SOIGNER. VENEZ NOMBREUX !!!! !